1504 - The English Parliament passed statutes against retainers and liveries, to curb private warfare. 1533 - England's King Henry VIII secretly married his second wife Anne Boleyn. Boleyn later gave birth to Elizabeth I. 1579 - The Treaty of Utrecht was signed marking the beginning of the Dutch Republic. 1799 - Eliakim Spooner patented the seeding machine. 1858 - Mendelssohn’s "Wedding March" was presented for the first time, as the daughter of Queen Victoria married the Crown Prince of Prussia. 1870 - G.D. Dows patented the ornamental soda fountain. 1881 - Thomas Edison, Alexander Graham Bell and others signed an agreement to organize the Oriental Telephone Company. 1890 - The United Mine Workers of America was founded. 1915 - In New York, Alexander Graham Bell spoke to his assistant in San Francisco, inaugurating the first transcontinental telephone service. 1924 - The 1st Winter Olympic Games were inaugurated in Chamonix in the French Alps. 1927 - Jack Benny married Sadye Marks on this day. Sadye changed her name to Mary Livingstone. 1937 - NBC radio presented the first broadcast of "The Guiding Light." The show remained on radio until 1956 and began on CBS-TV in 1952. 1945 - Richard Tucker debuted at the Metropolitan Opera House in New York City in the production of "La Gioconda". 1946 - The United Mine Workers rejoined the American Federation of Labor. 1949 - The first Emmys were presented at the Hollywood Athletic Club. 1950 - A federal jury in New York City found former State Department official Alger Hiss guilty of perjury. 1959 - In the U.S., American Airlines had the first scheduled transcontinental flight of a Boeing 707. 1961 - John F. Kennedy presented the first live presidential news conference from Washington, DC. The event was carried on radio and television. 1971 - Charles Manson and three female members of his "family" were found guilty of one count of conspiracy to commit murder and seven counts of murder in the first degree. They were all sentenced to death for the 1969 killings. The sentences were later commuted to life sentences. 1971 - Maj. Gen. Idi Amin led a coup that deposed Milton Obote and became president of Uganda. 1981 - Jiang Qing, Mao's widow, was tried for treason and received a death sentence, which was subsequently commuted to life imprisonment. 1981 - The 52 Americans held hostage by Iran for 444 days arrived in the United States and were reunited with their families. 1987 - The New York Giants defeated the Denver Broncos, 39-20, in Super Bowl XXI on NBC. The game featured TV commercials cost $550,000 for 30 seconds. 1993 - A gunman shot and killed two CIA employees outside the agencies headquarters in Virginia. Mir Aimal Kansi, a Pakistani national, was later convicted of the shootings. 1995 - The defense gave its opening statement in the O.J. Simpson trial. 1998 - The Denver Broncos beat the Green Bay Packers 31-24 in Super Bowl XXXII. The Broncos had lost 3 previous Super Bowl appearances with quarterback John Elway. 1999 - At least 1,000 people were killed when an earthquake hit western Columbia. The quake registered 6.0 on the Richter Scale. 1999 - In Louisville, KY, man received the first hand transplant in the United States. 2001 - A minor earthquake hit northeastern Ohio. The quake measured only 4.2 on the Richter Scale. 2010 - In Arlington, TX, the International Bowling Museum and Hall of Fame had its grand opening. 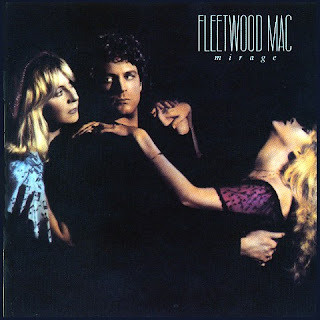 Fleetwood Mac released the album Mirage in 1982. After such chart topping efforts as Rumors and Tusk, Mirage was a project of which a lot was expected. And it delivered. With hit singles like Hold Me, the album climbed up the Billboard 200 and went platinum. The line-up had never been tighter and had never sounded better. This was the Mac in all its glory. Stevie Nicks, really coming into her own around the time of Mirage’s release, wrote and sang lead on the album’s second single. Gypsy is a tune that you just can’t stop listening to. After almost thirty years, it remains a radio hit and Mac fans all over the world sing along with Stevie to each word. Lindsey Buckingham and Christine McVie give fine backing vocals as the song winds itself down. The video is a treasure. Featuring Stevie in something of a fairy tale world, surrounded by the rest of the Mac, as well some adorable little girls at the end, she dances and sings her way through in sheer delight. Gypsy doesn’t lose its appeal as the years go by. It remains a masterpiece.